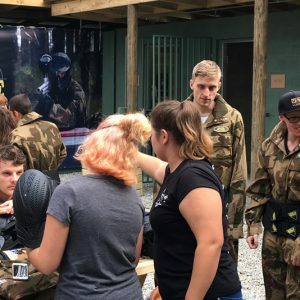 Not only does Delta Force offer the very best in movie-set paintball scenarios, but we also provide you with the latest and safest paintball equipment for you to enjoy on your paintball adventure. All of this top-of-the-range equipment is provided to you at no extra charge, enabling you to enjoy your day in greater comfort and safety than ever before. With safety standards second to none, come and play at Delta Force knowing you are playing with the industry leader in terms of safety, professionalism and quality. Contact 1300 850 744 and make a booking today.